Make Life Happen is a niche counselling and support network catering to women of South Asian and Middle Eastern decent in the Europe and the United States. The owner of Make Life happen, Ms. Sayeda Habib is extremely passionate about helping immigrant women assimilate into society as productive members. 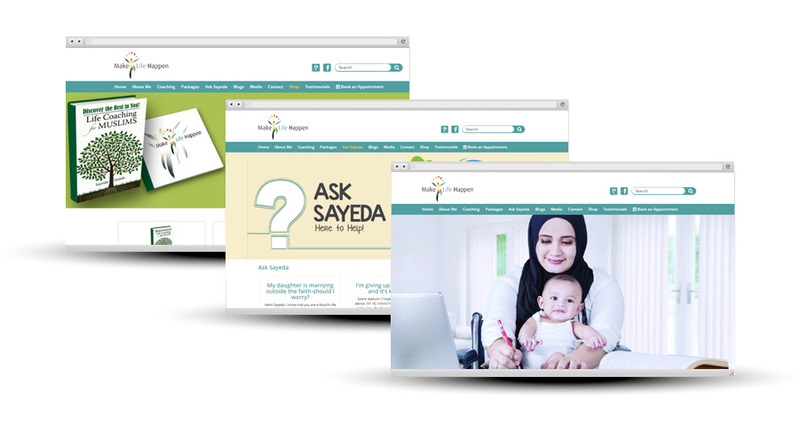 What we did for Make Life Happen materially helped them streamline their content management and dissemination process, where clients could easily interact with the Ms. Sayeda Habib in a safe and effective manner to address there person and professional issues as they strive to assimilate into the North American and European society. The website was built on the robust and modular PHP/MySQL framework’s WordPress software engine, while leveraging several APIs from YouTube, SoundCloud, Spreaker, Calendly, etc. The overall UI design was custom done exclusively for Make Life Happen.